Sutro Footwear is a brand based out of San Fransisco that offers boots and shoes with a focus on handcrafted quality and stylish design. We recently had the pleasure to review Sutro’s Alder and Charlton boots for men and were impressed with the quality, style and fit. So when Sutro Footwear sent us a sample of their women's line to try and review we were excited to finally get our hands on quality goodyear welted boots for women. In this review we will be taking a closer look at the Sutro's Mendelle and Vermont boots. The Vermont boot is Sutro’s unisex answer to their popular Alder boot. The design is essentially the same as the Alder except that with the Vermont you have the option of smaller sizes. The Vermont is perfect for anyone who wants a welted boot with a masculine edge but has found men’s sizing to run too large. When it comes to welted boots for women, the Vermont boot has all the markers of handcrafted footwear. The boots feature hand dyed leather, goodyear welt construction and a stacked leather heel. The outsole is perfect for everyday wear and features a rubber forepart and heel for grip and stability. The leather sole is a nice touch and the fit and feel is sturdy without being too heavy. Sutro Vermont Boots: Goodyear welt construction and stacked leather heel. The Mendelle is another Sutro Footwear women’s welted boot option that doesn’t disappoint. 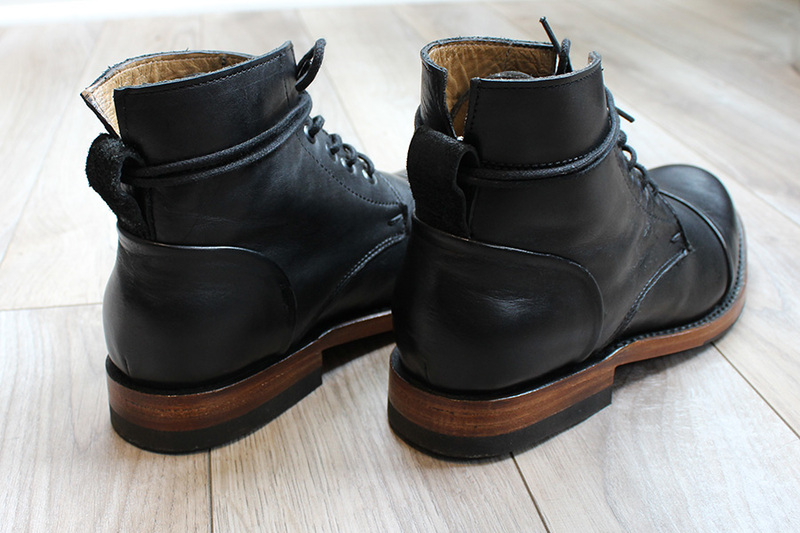 These boots have a familiar combat boot style that pairs well with skinny jeans, shorts or dresses for an edgier look. When it comes to quality, the Mendelle is consistent with Sutro’s craftsmanship that runs through their men’s line. The Mendelle features handcrafted welted construction with a stacked leather heel. The leather sole also features attached rubber on the forepart and heel that is ribbed for traction. When compared to the Vermont boot, the first thing you’ll notice is that the Mendelle is built on a slimmer more feminine last. The toe box is slimmer and the overall fit is closer to the foot. The Mendelle boot also has a higher shaft at 6” when compared to the Vermont’s 5” shaft. Whichever style you choose Sutro does a great job at offering quality goodyear welted boots for women. Each style maintains the attention to detail and craftsmanship usually only found in men's styles. Both the Sutro Mendelle and Vermont are incredibly comfortable right out of the box. We found Sutro's break-in periods to be consistent throughout their line of boots with no uncomfortable pinching or hot spots. A lot of what makes these boots so comfortable is Sutro’s full glove leather lining and removable cushioned insole that is featured on both the Mendelle and Vermont boots. As for sizing, we found the Sutro Vermont boot to fit true to size. If you plan on wearing a pair of thicker winter socks with the Vermont then we recommend you size up a half size. For the Mendelle boots, Sutro suggests you order a half-size down as the boots run a half-size large. One thing we love most about Sutro is that they offer handcrafted quality boots at an entry level price. Stylish yet affordable women’s welted boots can be a bit of challenge to find. While many handcrafted boots for women run upwards of $350, Sutro Footwear offers handcrafted options for around $200. When you add up the quality full grain leather uppers, welted construction and stylish look, it’s safe to say Sutro Footwear offers some of the best goodyear welted boots for women at this price point. You can purchase a pair of your own on Amazon or on the official Sutro Footwear website.